Staff at the desk for check in were amazing. Flight arrival time was early morning and we were allowed to enter our apartment well before usual check in time. We were met with a juice while we waited for our apartment. Our 3 bedroom apartment was wonderful with 3 en-suite.Thanks Flora Park for a wonderful, memorable stay. 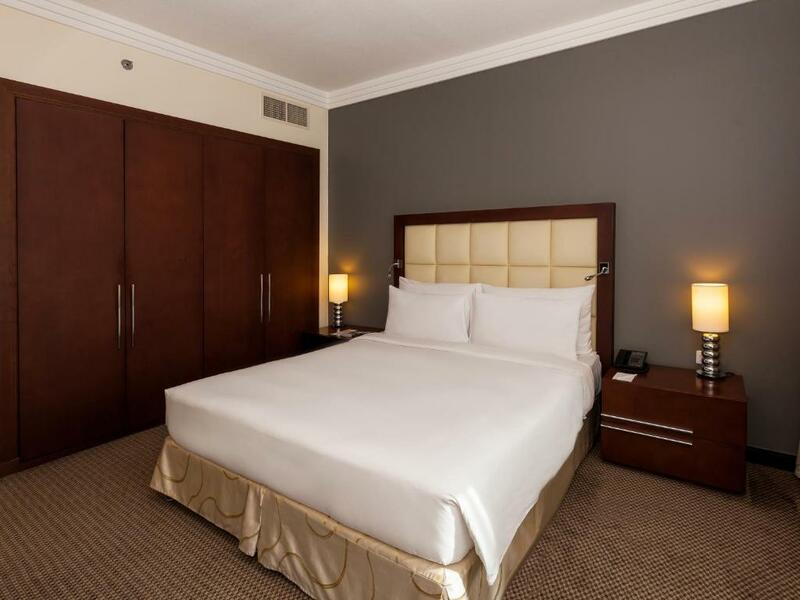 We will highly recommend staying at this well positioned Deluxe Hotel. Internet was fast and reliable. This is not the first time here and won’t be the last. This hotel is perfect for families. The location is very good as it’s easy to get in and out the area. City center mall is in a walking distance. Public transport is right in front of the hotel like taxis,buses and metro station. Staff are nice and attentive. The hotel is clean. I highly recommend it. 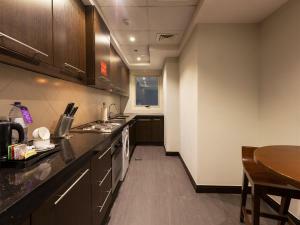 Clean property, close to mall and transportation, wide breakfast selection. Nice hotel. Staffs. The manager mr hassan is so nice too . Very professional. Good job hotel flora. Metro stop was 2 minutes away, while a huge shopping mall - less than 5. The apartment was huge and had everything we needed as a family. We rented a car and the free parking was a great bonus. Very clean, very good stuff, fast response from the housekeeper and the front desk and very good location. Staff were very helpful since checking inn until checking out. Front desk team was so cooperative and a special thank to the HK team, specially the HK manager for their wonderful job. Lock in a great price for Flora Park Deluxe Hotel Apartments – rated 8.6 by recent guests! 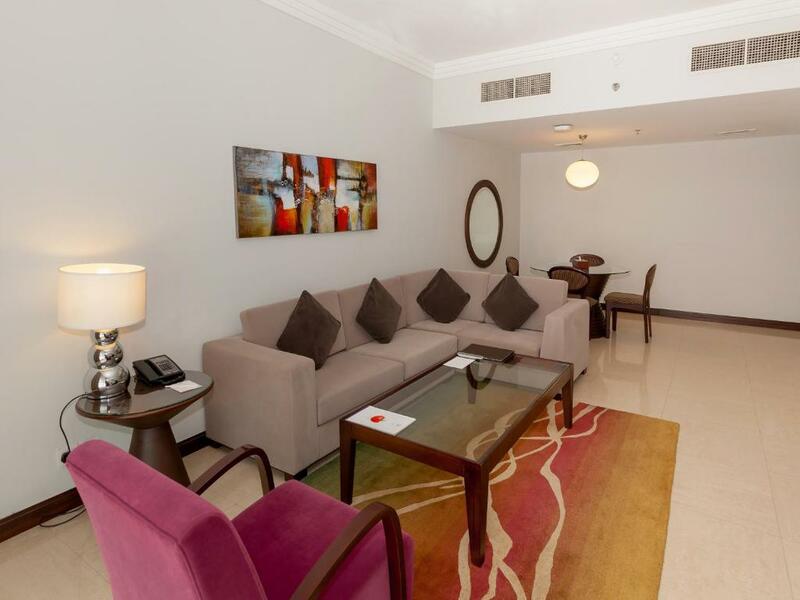 Flora Park Deluxe Hotel Apartments This rating is a reflection of how the property compares to the industry standard when it comes to price, facilities and services available. It's based on a self-evaluation by the property. Use this rating to help choose your stay! One of our top picks in Dubai.Located in Dubai, Flora Park Deluxe Hotel Apartments provides free WiFi, and guests can enjoy an outdoor swimming pool and a fitness center. The condo hotel provides guests with a balcony, city views, a seating area, a flat-screen TV, a fully equipped kitchen with an oven, and a private bathroom with bath and free toiletries. A microwave and toaster are also offered, as well as an electric tea pot. A continental breakfast is served every morning at the property. Guests can enjoy a meal at the on-site restaurant, which serves Middle Eastern cuisine. Flora Park Hotel Apts offers a sauna. Grand Mosque is 3.5 miles from the accommodation, while Dubai World Trade Centre is 4.3 miles from the property. Dubai Airport is 2.6 miles away. 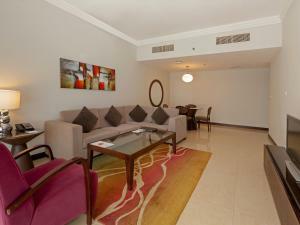 When would you like to stay at Flora Park Deluxe Hotel Apartments? 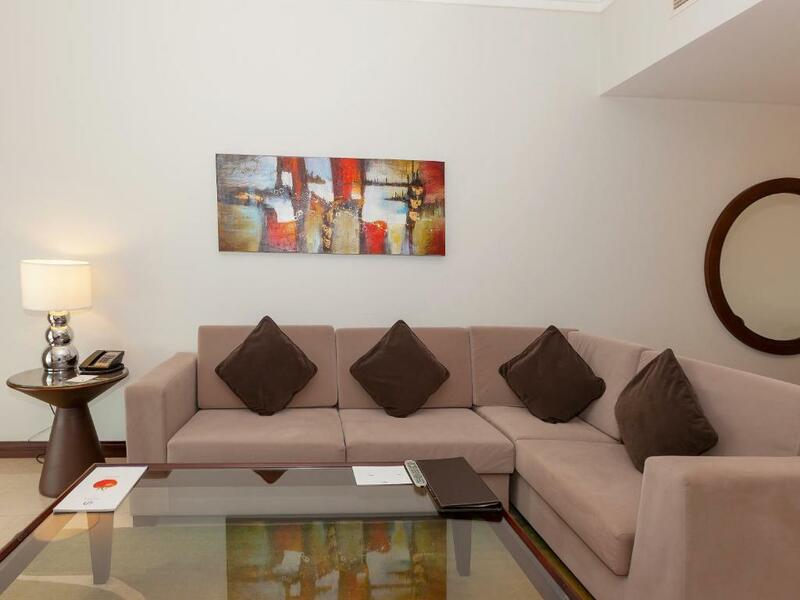 This elegant two-bedroom apartment is tastefully furnished and offers plenty of space featuring a separate dining and lounge area with a fully equipped kitchen and a private balcony and private bathrooms with well stuffed amenities in each room. You can enjoy free high speed internet connection, with unlimited devices and 100% guaranteed 5 bar coverage throughout the apartment. Designed to offer the maximum comfort to families, this elegant three bedroom apartment is luxuriously furnished and offers ample space featuring a separate dining and lounge area with a fully equipped kitchen, each room has an private bathroom and a private balcony. This extra spacious apartment is tastefully furnished and features a separate dining and lounge area with a fully equipped kitchen, a private balcony and private bathrooms with well stuffed amenities. You can enjoy free high speed internet connection, with unlimited devices and 100% guaranteed 5 bar coverage throughout the apartments. This apartment features a seating area, kitchenette and dining area. 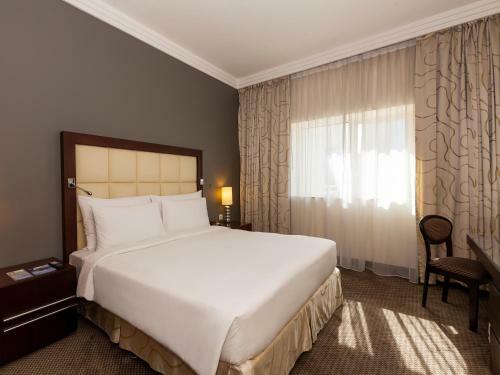 Renowned for its refined service and hospitality, abundant amenities, spacious apartments and family environment, Flora Park Deluxe Hotel Apartments is the ideal choice for both business and leisure travelers alike, and is convenient and comfortable for families and guests of all ages. 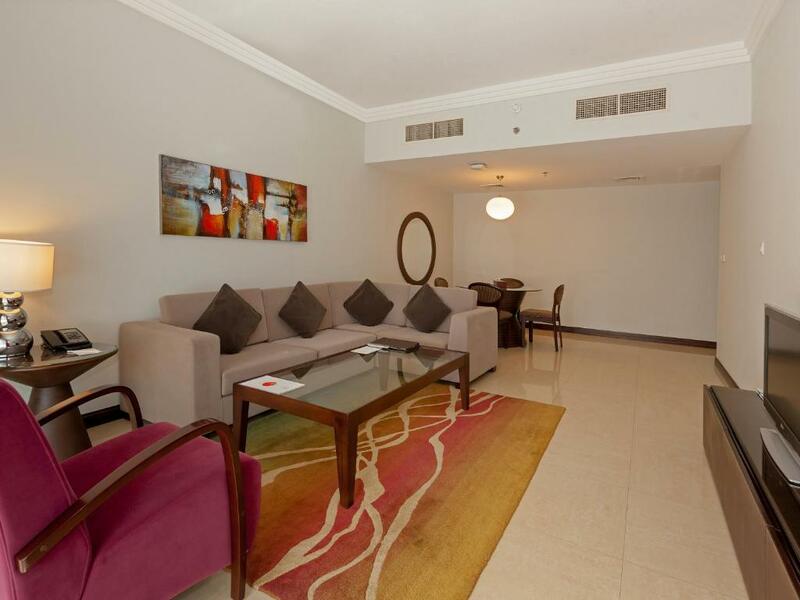 Offering fully serviced and spacious apartments, designed to provide guests with a maximum comfort and an exclusive luxury experience. Flora Park Deluxe Hotel Apartments is located in the heart of Dubai’s shopping, dining, entertainment, and business district in Deira, just steps away from Dubai Metro, the famous Dubai Creek and shopping malls. 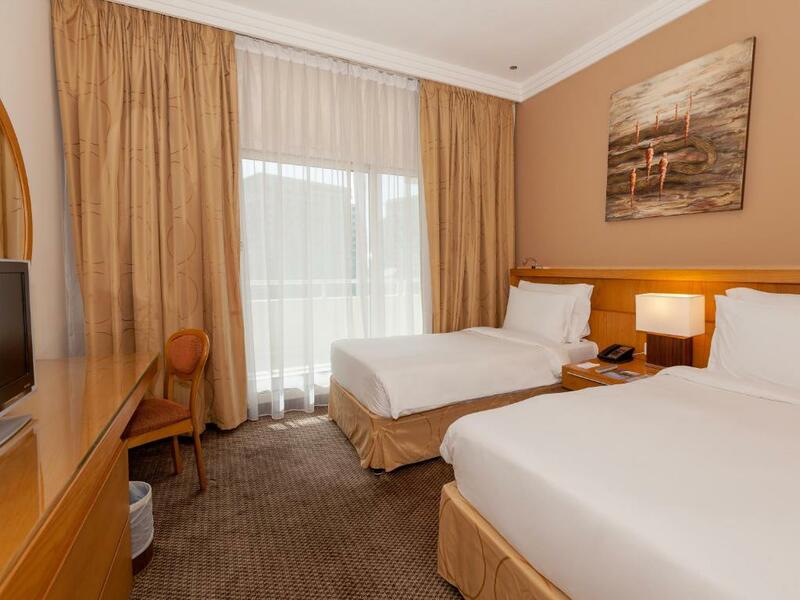 The ideal location of Flora Park Deluxe Hotel Apartments also offers access to many tourist attractions in close proximity such as, Dubai Creek Park, Deira City Centre Shopping mall, Dubai Creek Golf & Yacht Club and Dubai Clock Tower. House Rules Flora Park Deluxe Hotel Apartments takes special requests – add in the next step! Flora Park Deluxe Hotel Apartments accepts these cards and reserves the right to temporarily hold an amount prior to arrival. Please pay attention to the specified number of adults while selecting a breakfast inclusive rate plan and the number of guests stated in the confirmation the breakfast entitlement is based on the confirmation received. Any additional breakfast requirement is subjected to applicable charges. Kitchen cupboards were a little musty smelling. lighting in the bedroom, switches are down below, really hard to access. did not have breakfast at the location. We had requested a nonsmoking room. But was given a smoking room. But the staff quickly changed and was very helpfull in doing this change. Was very helpfull in giving us an additional 1hr. For a late check out. The swimming pool is beside the restaurant so we felt a bit uncomfortable swimming in the morning because some people who are having their breakfast are watching. The beds were comfy. However the apartment had a weird smell until we had the manager come in to check and clean it. Breakfast is various and delicious.